QuEx News North American Tour On Sale Now! North American Tour On Sale Now! The QuEx returns to rock North America in September-October 2018! Back by popular demand, ‘Queen Extravaganza’ was one of last year’s fastest selling UK theatre tours. Queen fans will be thrilled to learn that there will be a chance to hear all their favourite Queen songs performed live, when the official tribute band created by Roger Taylor and Brian May, hits North America for a series of shows this year. They will celebrate the UK’s biggest selling album of all time ‘Queen Greatest Hits’ released in 1981 which sold over 6.1 million copies in Britain alone. ‘QuEx’ as they are known by their avid fans, have already played over 160 dates across the world and made appearances on TV shows such as American Idol where the performance was seen by over 20 million people. 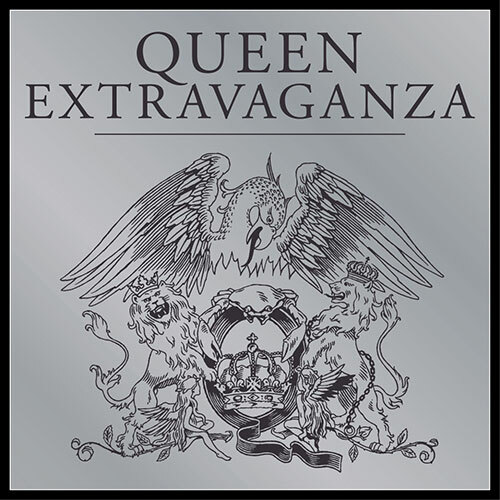 ‘Queen Extravaganza’ Tour 2018 promises to deliver all the greatest hits any Queen fan could want to hear – “We Will Rock You/We Are the Champions’, ‘Another One Bites the Dust’, ‘Killer Queen’, ‘Somebody to Love’, ‘Fat Bottomed Girls’, ‘Bicycle Race’, ‘You’re My Best Friend’, ‘Crazy Little Thing Called Love’, ‘Now I’m Here’, ‘Play The Game’, ‘Seven Seas of Rhye’, ‘Body Language’, ‘Save Me’, ‘Don’t Stop Me Now’, ‘Good Old Fashioned Lover Boy’, ‘I Want to Break Free’, ‘Radio GaGa’, ‘Under Pressure’...all will be presented 100% live by some of today’s finest musicians hand picked by Roger Taylor and Brian May themselves. The show is produced by Roger Taylor and designed by longtime Queen creative team, Ric Lipson from Stufish Entertainment Architects, and Lighting Designer Rob Sinclair. The band are hand picked by Brian and Roger, from their international pool of top-class musicians. Alirio Netto will be joining the line up this year as the lead singer. Brazilian born singer Alirio Netto is one of the most recognised rock voices in Brazil. Whether it be on stage or in the studio, his powerful voice and amazing range impressed Roger and Brian when he starred as Galileo in the Brazilian production of We Will Rock You in 2016. Has been with Queen Extravaganza since the first online auditions in 2011 where he beat hundreds of other applicants to the coveted role of bassist for the band. Brian was in the original line up for Queen Extravaganza, and we’re delighted he’s returning to the band for the North American tour. Alex joins the line up as our youngest new band member, having worked with We Will Rock You’s Musical Director Stuart Morley. A Music graduate of Cambridge University, Alex’s multi-talented abilities are not just limited to keyboard & excellent vocals - he also plays bass guitar & cello when he’s not tickling the ivories! ‘Queen Extravaganza’ Tour Tickets are available via: www.queenonline.com/quex and usual outlets and on sale from 22nd June at 10am local time. 22nd June 2018 North American Tour On Sale Now!